Presentation 6:30 - 8:30 p.m.
Have you had trouble communicating with medical providers at your clinic? What about when you have been in the hospital? Peggy Troller will discuss some of the dangers people experience during encounters with health care systems. She will also provide some tips on advocating for yourself or a family member to ensure communication that reduces misunderstandings, errors, and frustration. She is intimately familiar with the difficulties that a hearing loss can present in a medical setting and will suggest ways of coping with those difficulties. Peggy has had conductive hearing loss since early childhood, receiving her first hearing aid at age 35. She holds multiple degrees in Nursing and a Ph.D. in Nursing Practice, Leadership, and has been a Registered Nurse for 35 years. She is now employed by UW Health as a Transitional Care nurse, helping geriatric patients leaving the hospital to transition home successfully. 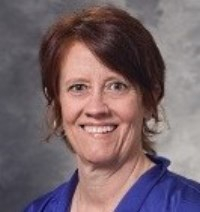 She is also the Vice President and Program Coordinator for the HLAA-Madison chapter. 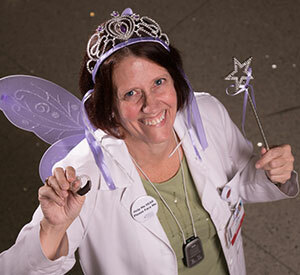 About the Hearing Aid Fairy: Peggy can tell you all about that. Spoiler: Knowing how critical hearing is in the medical process, she created a program that is quite personal to her and gives her an opportunity to be silly.